Tested Model consumed almost 70% more power than Energy Star rating. So your energy bill could almost double. 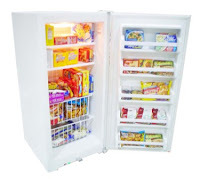 If the cost per year to operate is $60.70 then the refrigerator could cost and additional $42.50 per year to operate. Over five years the cost could be as high as $212.50. CORRECTIVE ACTION: A Service technician will adjust the metal cover, restoring the freezer to normal operation. WARRANTY: An additional one year parts and labor for the entire freezer (including sealed system) will be added to the original warranty at no cost to the consumer. Serial numbers that begin with the letters BR and end with the numbers 9300000-9699999. 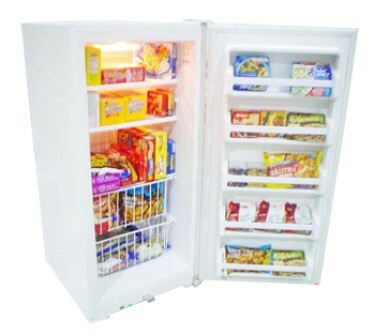 The Model and Serial Numbers are located inside the freezer on the right hand side of the product, as well as on the outside rear of the freezer. CONTACT: Haier America’s Product Alert Center at 877-813-8516 to schedule service and learn more. very nice picture............. for refrigerator . Thanks for this post...... i agree with your views for free תיקון מקררים. Thanks for sharing effected models and serial numbers of heir refrigerators. Awesome article, a debt of gratitude is in order for assembling this! This is clearly one extraordinary post. A debt of gratitude is in order for the profitable data and bits of knowledge you have so given here.